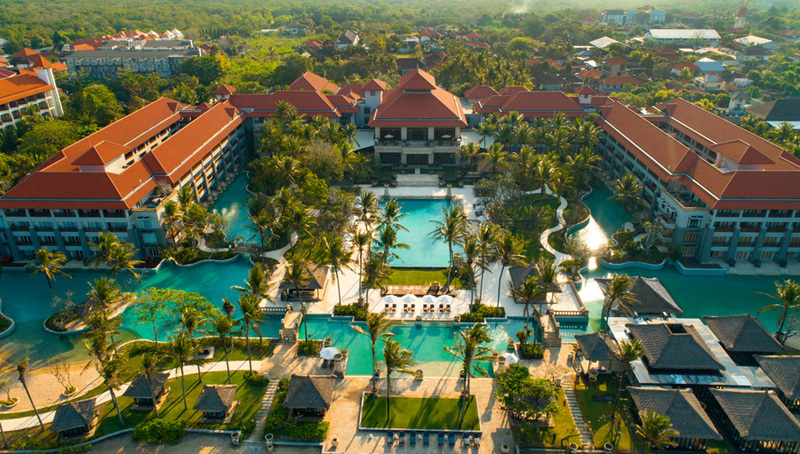 Santika Indonesia Hotels and Resorts has opened The Anvaya Beach Resort – Bali on the island’s popular Kuta. The Anvaya, the first five-star hotel to be wholly owned and managed by Santika, offers the latest in luxury, with world-class facilities and service, a variety of accommodation choices, and authentic architecture and interior design. Set on approximately four hectares of land, the hotel has 495 rooms across seven room categories: Deluxe Room, Premiere Room, Deluxe Suite, Premiere Suite, The Anvaya Suite, Beach Front Suite, and The Anvaya Villa. The two main dining venues, Kunyit Restaurant and Sands Restaurant, provide a full menu selection from breakfast to sundown. 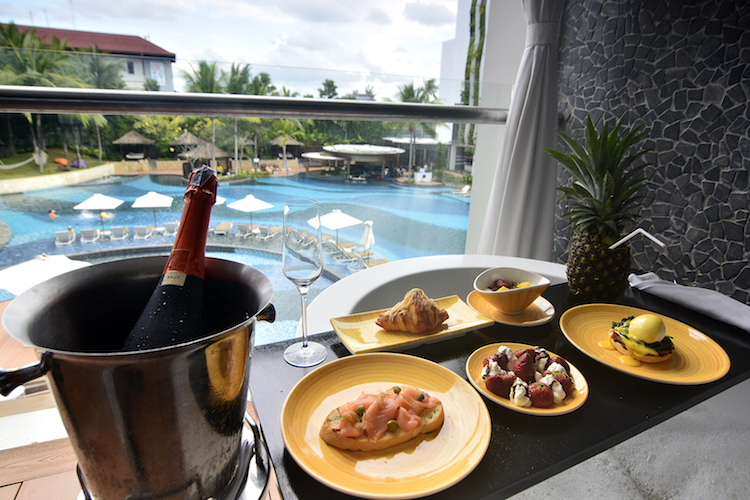 Other facilities at the resort include a well-stocked wine cellar, well-appointed swimming pool, kids club, spa, meeting rooms, state-of-the-art ballroom, and in-house fitness room. The Anvaya reflects the three major periods in the history of the Island of the Gods. The Bali Aga period, often referred to as the Early Balinese period, is visible in the décor of Kunyit Restaurant, the hotel’s meeting rooms, ballroom and Deluxe rooms. The elegant and refined Hindu Dharma period is seen in the traditional Balinese and Hindu ornaments and motifs that decorate the central lobby area, which includes the hotel’s Premiere, Deluxe Suites and Premiere Suites. 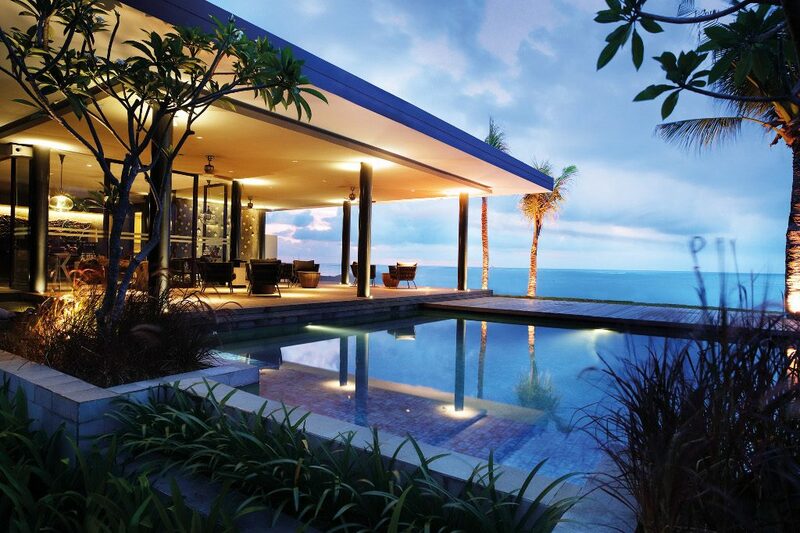 And finally, the Modern Balinese period is represented by the interior of The Anvaya’s luxury villa.